Petite Gift Bag arrangement in a hessian bag and designed in floral foam. A pretty summer mix of flowers in pale pinks,white and green. 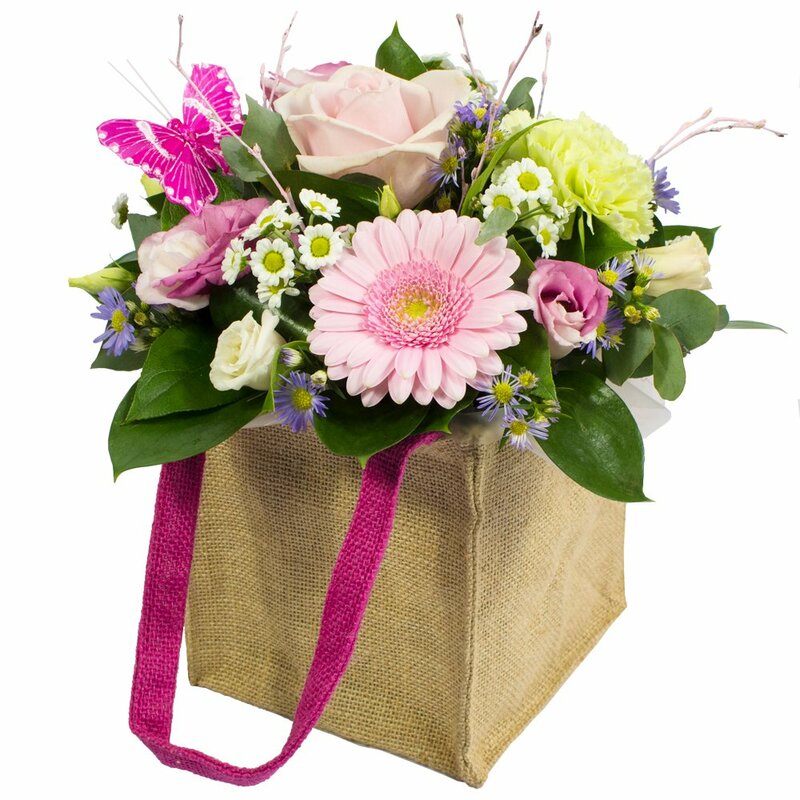 Available for delivery on Mother's Day or any day of your choice. A gift that is easy to care for and easily placed around the home . Add a personal message to complete, ready for delivery in and around hereford. Some flowers are delivered in bud for maximum life.